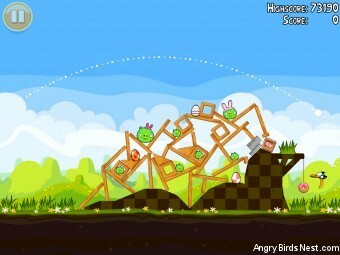 The latest Angry Birds Seasons: Easter Eggs! update is due out next week for the iOS devices and hopefully (keep your fingers crossed) Android. 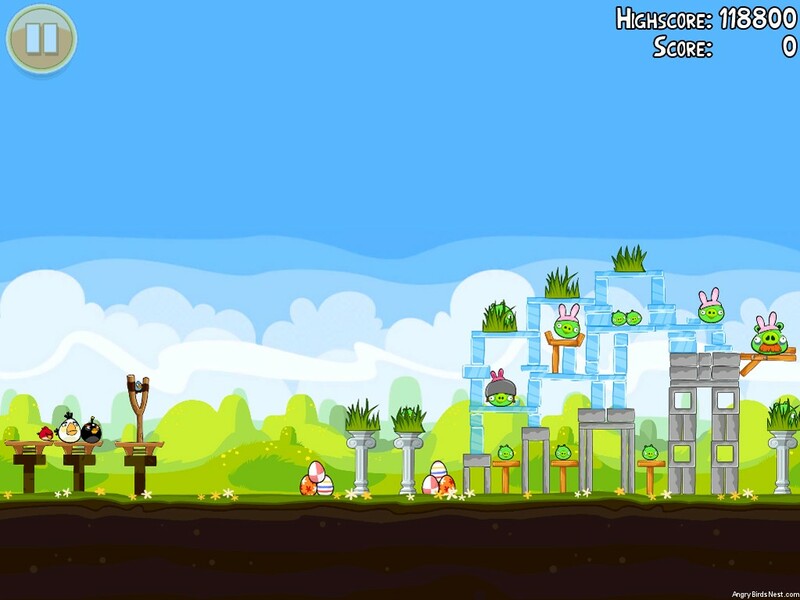 Below we have a bunch of screenshots of the forthcoming levels. 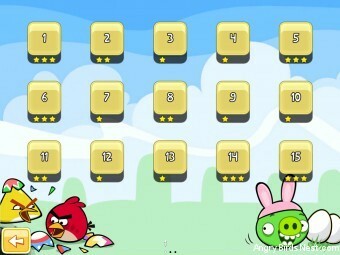 This update will include the standard 15 levels, plus 3 bonus Facebook levels. As soon as this lands we’ll jump on the walkthroughs and hunt for those Golden Eggs, so stay tuned! 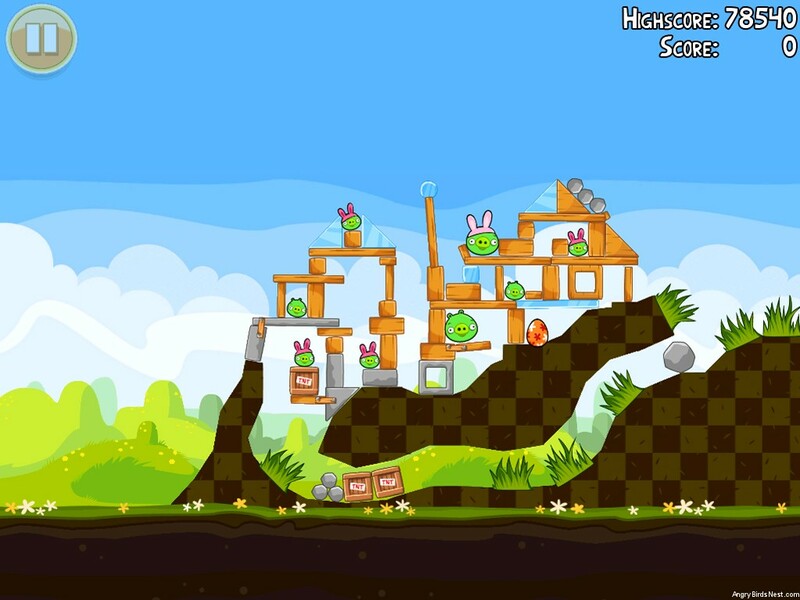 Check out our newest post that contains the Easter Eggs! official gameplay trailer and a user created video that shows a bunch of the Golden Eggs. 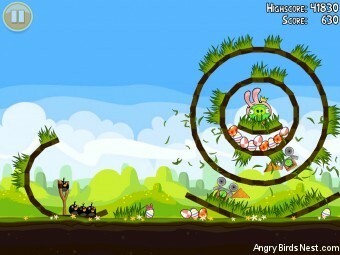 Symbian users are lucky, as the Angry Birds Seasons: Easter Eggs! update is already out. Go get it today! Oh, and I can’t say for sure, but the second screenshot below looks like a Golden Egg level to me. What do you think? Do any of you know when the Easter update comes out? Anytime. 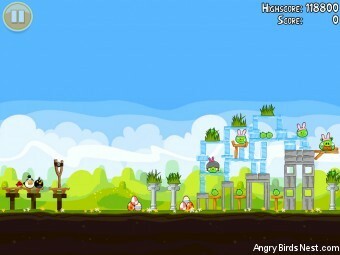 Rovio estimated Monday April 18th, 2011 for iOS, but we’ll see. 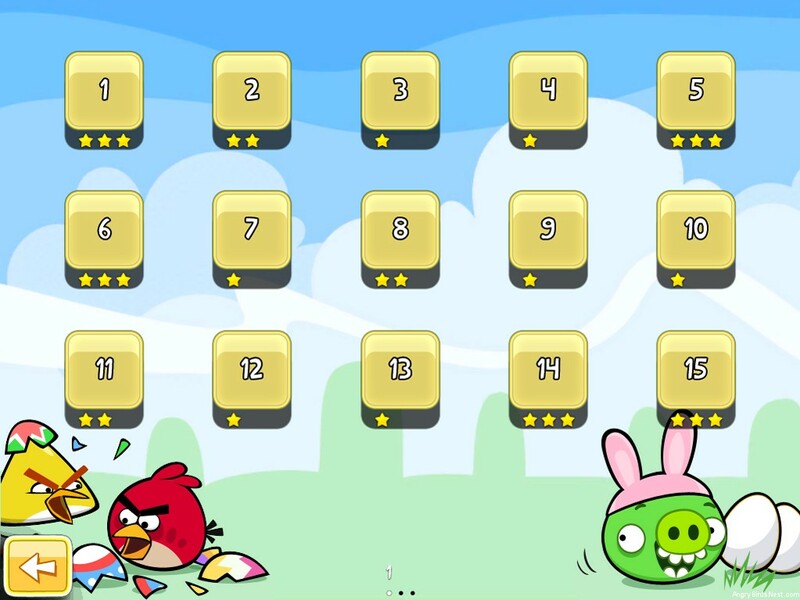 Something is wrong… my Game Center account shows my Angry Birds Seasons IS on Easter, it even added the achievements! But it is still not on my updates, help? The achievements usually show up a few days before the update. The update should be available any time. level 6 behind the grass in the top of the mountain. Level 10. First shout white bird to top. 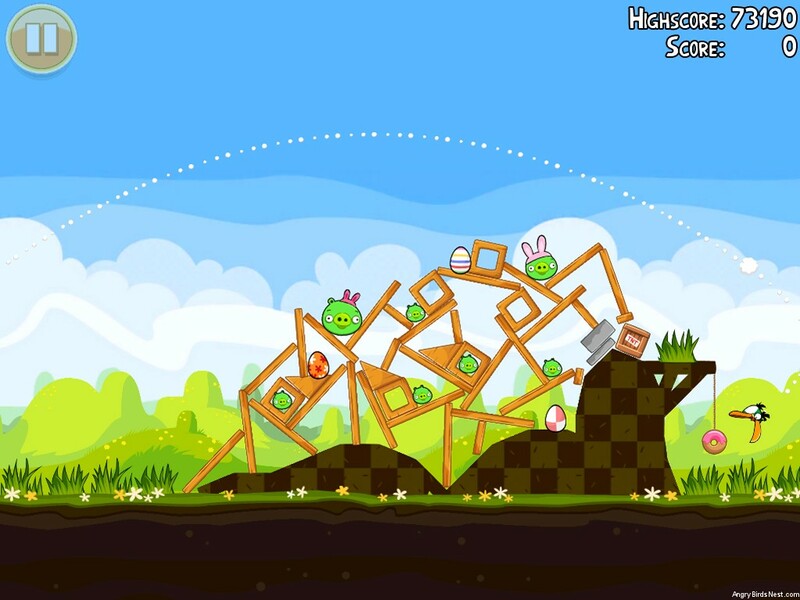 Then the golden egg falls down. Hit it with the yellow one. golden eggs found so far are on levels 2, 6 and 10. For help on the eggs, click here. Videos will be posted shortly. I am just looking for golden eggs now have 3 stars on all levels…is it a possibility that all levels could have a golden egg?